Preheat oven to 400°F. Combine Kentucky Cattlemen's Ground Beef, bread crumbs, 2 tablespoons onion soup mix, egg whites, nutmeg and black pepper in large bowl, mixing lightly but thoroughly. Shape into 20 one-inch meatballs. Stir remaining onion soup mix into milk in medium bowl; set aside. Generously spray broiler rack with nonstick cooking spray. Place meatballs on rack in aluminum foil- lined broiler pan. Bake in 400°F oven 17 to 19 minutes until instant-read thermometer inserted in center registers 160°F. Remove from oven; keep warm. Meanwhile, heat large nonstick skillet over medium heat until hot. Dissolve cornstarch in water. Combine milk mixture with cornstarch mixture; add to skillet. Bring to a boil, cook 4 to 6 minutes until sauce is thickened, stirring often. Stir in white pepper. Return meatballs to skillet; cook 4 to 5 minutes until heated through. 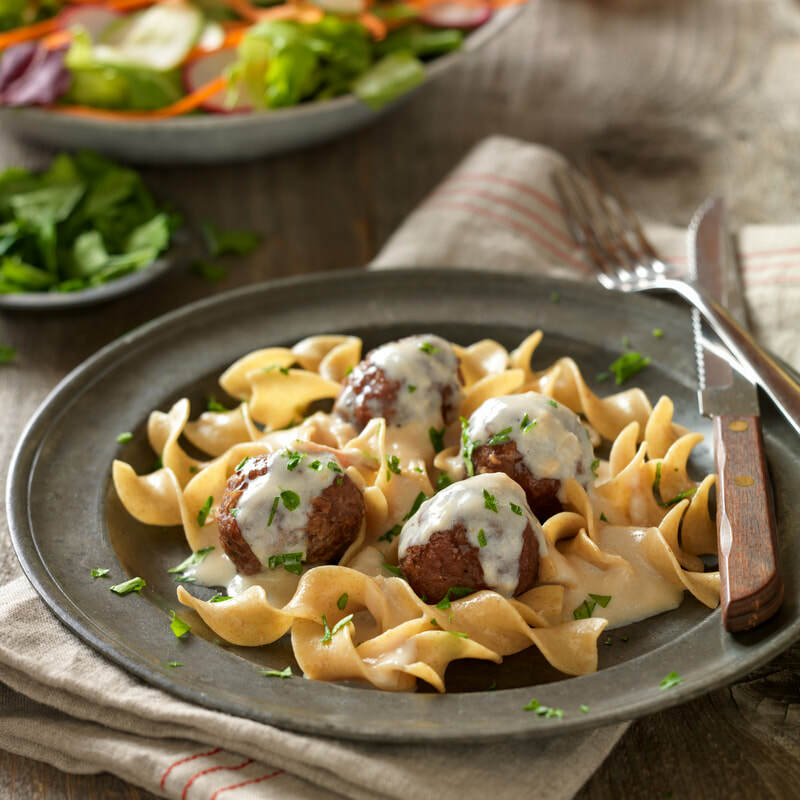 Serve meatballs and sauce over noodles; garnish with parsley, if desired.